Written by Will on October 11, 2012 and posted in Downloadable Content. Turns out a lot of people were annoyed by the camera angles in Resident Evil 6 so the title update, unlocking the on disc DLC, that is due out mid-December also adds an alternative camera system. Here’s the tweet below from the official Resident Evil Twitter – it includes photos to illustrate the difference. Just as soon as Resident Evil comes out the hackers find the on-disc Resident Evil 6 DLC. Capcom have been famously know to include DLC on disc but make gamers pay to unlock it – like when they released Street Fighter X Tekken DLC. This time they have done it with the Resident Evil 6 DLC but they have stated that this time they will be unlocking it for free with a title update coming soon. They have cited technical reasons for some of it being locked at first – like the No Hope difficulty. 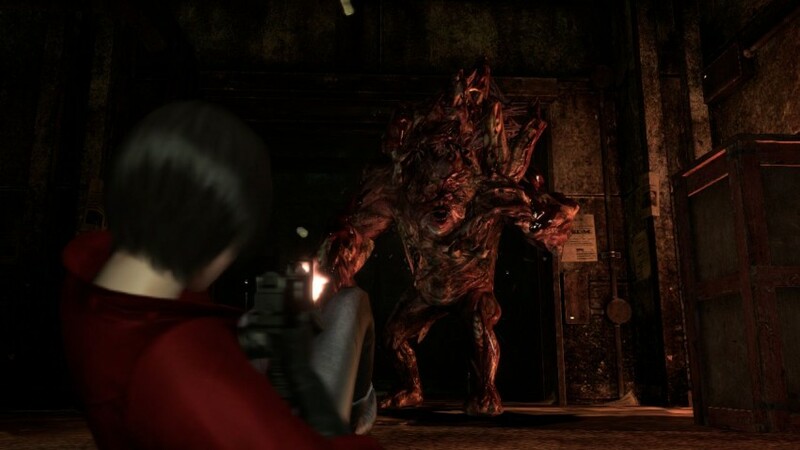 The DLC they are talking about includes another more extreme difficulty level: No Hope Mode and adds a co-op partner in the Ada Wong campaign. On top of that it also unlocks the Ada campaign from the start of the game – initially it’s only playable once you have completed all 3 of the main campaign stories – For Leon, Chris and Jake. I’d seen the adverts for Resident Evil 6 on TV for a long while, it had even sponsored The Walking Dead on Chanel 5 when it aired here in the UK. Recently the only adverts I’ve seen from it have been about the 3 timed exclusive game modes on the 360. There are 3 new game modes, with dates still to be announced, but we do know what they are and they sound pretty sweet. When I heard 6 player gaming I was disappointed that I couldn’t find it when I played – but It’s been missing because it’s coming in the DLC. “We are pleased to confirm 3 new DLC multiplayer modes for #RE6 called ‘Survivors’, ‘Predator’ and ‘Siege'” was posted on the official Resident Evil Twitter. In Survivors if you die you turn. When your an enemy killing 2 other players wins back your life and you re-spawn as a Human again. The last man, or team, left standing wins. In Predator Mode, one person gets to play in the role of the Ustanak. You’ll remember Ustanak: the fearsome B.O.W. that stalks Jake Muller throughout his campaign. All the other players must fight to take down Ustanak or at least stay alive till the timer runs out. When playing Siege you are tasked with either taking down or protecting a single NPC. One team has to keep the NPC safe from the other team who has to try siege the place. I’ve also found a paragraph on another website that claims another mode for the game that sounds pretty interesting. It’s like mercenaries played between 2 people each on a separate map – Resident Evil 6 DLC – Onslaught. Onslaught: Sounds similar to Slayers from RE5 in that’s it’s basically a competitive mercenaries, but it’s played on 2 seperate maps. You can cash in your combo to send more enemies to your opponent’s stage. There’s a medal for killing your opponent with monsters you sent by cashing in combo. And a medal for sending all possible monsters, so I guess there’s a maximum. You can send normal enemies and hidden bosses to your opponent. I think this mode is 2 players maximum.